Tel: 04 399 5000 Features a large array of traditional Arabic dishes and tasty Ramadan juices in a lively Arabian atmosphere. There?s a special a la carte menu and a variety of shisha flavours to enjoy at the Ramadan tent (Dhs100 minimum spend). Dhs160. Tel: 04 809 6100 Bab al Shams if offering a unique Arabian nights desert experience ? Arabic delicacies will be prepared at live cooking stations, while a special cultural experience will be on offer at the ?heritage village? set up at Al Hadheerah. Bab Al Shams is also offering special room rates throughout Ramadan (Dhs750 per night; includes complimentary in-room suhoor or iftar at Al Hadheerah). Dhs195. Sunset-all night (suhoor follows after). Tel: 04 295 6000 Indulge in a wide array of Middle Eastern and international delights, as well as a tasty selection of gourmet sweet treats to satisfy your sugar cravings. Enjoy QD?s signature shisha and fine views of the Dubai skyline. Groups of 25 people and over get special rates and private venues at the al fresco club. Dhs120 per person; Dhs60 for six-12-year- olds; under sixes eat for free. Tel: 04 701 1111 There?s a simple reason why this restaurant is a hot pick for Arabic cusine: it rarely disappoints. Choose your favorites from a set menu with a variety of options for hot and cold mezze, salads, soups, mains and Arabic sweets. It?s deliciously gourmet without being pretentious. Dhs140 per person. Tel: 04 319 8088 This crowd-favorite has been serving up delicious Lebanese cuisine for a long time now, and continues to do what it?s best at this Holy Month. Enjoy Lebanese delicacies, eclectic favourites and traditional beverages in a lively atmosphere till 8.30pm. Round off the evening with flavoured shisha in the outdoor marquee. Dhs180 per person. Tel: 04 222 7171 The Radisson?s traditional dhow cruises the creek and offers mountains of traditional iftar drinks and delicacies. The iftar cruise is available for group or private bookings only. Prices start at Dhs110. Sunset-8pm. Tel: 04 399 5555 Enjoy a special set menu with a host of traditional culinary delights in this Arabic-inspired tent set on the gardens. There are board games to play and plenty of shisha flavors to enjoy?aficionados will love having over 30 variants to choose from! Dhs250 per person. Tel: 04 368 6505 Starting at sunset every day, a lavish iftar buffet will be spread out for you and your family. Catering to everyone?s tastes, the buffet will comprise of appetisers, hot and cold refreshments, grilled meats and Arabic and Persian specialities. Dhs165. Sunset-8pm. 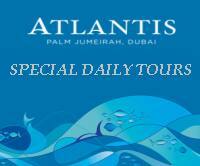 Tel: 04 426 1000 Atlantis certainly doesn?t cut corners ? enjoy a festive iftar buffet featuring a tahina fountain (we can?t make this up even if we tried) and a live icecream station in a stunning Arabian-themed tent, complete with Playstation consoles, traditional games and plenty of live music. Dhs160 per person; Dhs80 for three-12-year-olds, under threes eat for free. Tel: 04 409 5999 This trendy deli offers a special suhoor set-menu featuring an array of salads, mezze, grills, Arabic sweets and chocolate treats. If you?re hankering for a mellow evening, this venue?s easy spirit will perk you up. Dhs110 per person. Tel: 04 426 0000 Asateer will offer a traditional iftar buffet to ?awaken the senses?. Suhoor will be offered nightly from 9pm with an extensive a la carte menu offering favourites, as well as fresh Ramadan juices. The restaurant Levantine will also offer iftar and suhoor for the same price. Dhs165 (for iftar and suhoor), Dhs80 for kids aged three-12. Free for kids under three. Sunset-8pm (iftar); 8pm-late (suhoor). Tel: 04 809 6194 Bab al Shams is offering a unique Arabian nights desert experience ? Arabic delicacies will be prepared at live cooking stations, while a special cultural experience will be on offer at the ?heritage village? set up at Al Hadheerah. Bab Al Shams is also offering special room rates throughout Ramadan (Dhs750 per night; includes complimentary in-room suhoor or iftar at Al Hadheerah). Dhs195. Sunset onwards. Tel: 04 515 4051 A more health-conscious iftar ? Balance Caf?will offer three menu options designed to help break your fast without going overboard. Dishes include fennel and chicken soup with truffle oil and garlic chicken kebab; vegetarian biryani with raita, pickle and chutney; chicken supreme with baba ganoush and gomadare sauce; and malai dar kheer. Dhs48 (three courses), Dhs55 (four courses), Dhs65 (five courses). 6pm-midnight. Tel: 04 316 5550 The restaurant boasts a themed iftar buffet every evening, with plenty of traditional delights flanking dishes from around the globe. If you have little kids that need entertaining, Brasserie has you covered with a fantastic children?s corner. Dhs205 per person. Tel: 04 317 2222 Celebrating the culinary delights of the Levant, Caf? Arabesque offers a rich Arabic iftar buffet, featuring more than 40 different kinds of cold and hot mezze, soups, and ouzi served with oriental rice, rotisserie dishes, carvings, kebabs and more than ten main courses. Dhs165. Sunset-10pm. Tel: 04 332 9260 Dine in style at the delightfully ritzy Cavalli Club, and enjoy a gourmet iftar buffet featuring Arabic and Italian delicacies. The culinary options on offer are as generous as the interiors are flashy- there are three set menus for suhoor (from Dhs200-Dhs350) in addition to the iftar spread. There?s also a pianist on hand to set the tone for the evening. Fabulous, darling. Dhs150 per person. Tel: 04 356 0000 There?s a generous iftar buffet on offer at this chic eatery, complete with traditional staples and festive favourites. Expect delicacies from the region, refreshing Ramadan drinks and a tantalizing selection of Arabic sweets. There?s an oud player on hand to set the tone with traditional Arabic tunes. Dhs145 per person. Tel: 04 310 4340 For those looking for an iftar with Indian flair, there?s a selection of traditional North Indian dishes and Arabic juices to enjoy at Movenpick?s signature restaurant. Look forward to delicacies such as Dum Biryani, Pan-fried chicken and Dal Tadka prepared by celebrity chef, Hafeez Qureshi. Dhs85 per person. Tel: 04 295 5583 Iftar set menu and daily iftar buffet featuring traditional favourites including a superb selection of salads and hot mezze served with a choice of fresh juices. Dhs65 (set menu), Dhs79 (iftar buffet), Dhs50 (suhoor set menu). Sunset-8pm (iftar), 8pm-late (suhoor). Tel: 04 409 8000 Enjoy a cheap and cheerful iftar buffet featuring dried fruits, mezze, soups, grills and popular sweets Um Ali and baklava. There are some refreshing juice options on offer?expect lemon and mint mocktails, tangy tamarhindi, laban and kamareldeen. The suhoor buffet is priced at Dhs29. Dhs49 per person. Tel: 04 268 8888 The Sheraton?s new Arabic chef will whip up specialties such as lamb brain, lamb tongue, basturma, freekie lamb, kebsa chicken, Smagloba lamb, and mograbia chicken. There is also a wide selection of desserts including kunafa, katayef, baklawa. Dhs109. Sunset-8pm. Tel: 04 406 8999 Enjoy traditional delicacies in a majestic tent spread across the beach, with the stunning Burj Al Arab as the backdrop. Expect all the essentials?soups, fresh salads, mezze and succulent grills, along with customary Ramadan beverages on offer till 8.15pm. If you?re after a more intimate affair, there are discounts and private majlises available for groups of eight people and over. Dhs170 per person; half price for four-12 year olds; under fours eat for free. Tel: 04 405 2703 Enjoy a traditional iftar buffet until 8.30pm featuring traditional staples- soups, mezze, grills and dessert, along with customary Ramadan beverages. This caf?may be tucked away in the hotel lobby, but its tasty food definitely deserves a mention. Dhs180 per person. Tel: 04 428 7888 Ewaan?s classic interior decor ? regal arches and wooden trellis ? is the perfect setting for iftar. Arabic and oriental dishes will be served from live cooking stations, along with traditional coffee. Dhs190 and sohour a la carte for a minimum spend of Dhs150 per person. Tel: 04 212 7551 Glasshouse will put on a special iftar menu, featuring cold mezze ? hummus bi tahina, fattoush salad, babaganoush, mutable, tabouleh or labneh with mint (Dhs40) ? hot mezze ? fried falafel, kebbeh, cheese rakakat, lamb sambousek, and spicy chicken wings (Dhs52). Prices vary. Sunset-10.30pm. Tel: 04 341 0000 Those looking to share the season in the exclusive company of family and friends will be able to enjoy Chef Hania's creations in the privacy of the Grand Ski Chalet overlooking Ski Dubai, where an iftar set menu will be served in a richly adorned majlis. Bookings can be made for up to 12 guests, six guests can also choose to book a night?s stay at the Chalet. Dhs395. Sunset-late (depending on booking). Tel: 04 453 0444 If you?re after a thoroughly elegant affair, this swanky restaurant might be just the ticket. Enjoy a sumptuous iftar buffet with traditional staples and International and French inspired cuisine. Dining out in the terrace is highly recommended- you can enjoy stunning views of the sunset, sea and the Palm Jumeirah island. Dhs175 per person. Tel: 04 409 5999 If all the gargantuan buffets are leaving you wanting an a la carte affair, you?ll find a festive Ramadan menu with sumptuous Levantine flavors and a host of seasonal delicacies on offer here. Relax out on the al fresco dining area and enjoy shisha by the pool. Dhs65. Tel: 04 399 4000 Find mezze, hammour, Gulf shrimps and calamari oriental rice here, as well as shish taouk, lamb cutlets, lamb kofta, beef kebab with Moroccan tagine and much more. There?s also a salmon station, a fatteh and foul station, a pasta station and an ouzi station. Enjoy all these delicacies with sea views. Dhs215, Dhs100 (kids aged five-12), Dhs150 minimum spend for drinks and shisha. 10pm-1am. Tel: 04 284 3635 If you?re in a mood for an unconventional iftar meal, this friendly little eatery has a delicious Thai set menu on offer. We?re going with tender beef stew for starters, spaghetti tom yum for mains and fried ice-cream for dessert. Dhs55 per person. Tel: 04 405 2703 If you?re in the mood for sea food tagine, chicken pastille and golden, perfectly steamed couscous, look no further than this Moroccan eatery. Enjoy an iftar buffet until 10pm with delicious Moroccan specialties and Ramadan beverages. Dhs160 per person. Tel: 04 399 5555 This lovely restaurant dishes up a real treat this Ramadan with a special three-course set menu (available until 8.30pm) featuring tasty Italian cuisine. If you?re looking for a change of scene from traditional fare, take a trip here for some contemporary Italiana charm. Dhs180 per person.